Every day corporations waste huge amounts of money through ineffective and unreliable management practices. 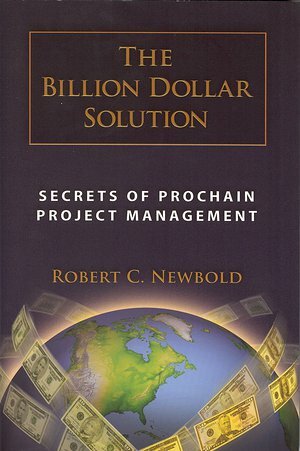 In The Billion Dollar Solution, Rob Newbold has lifted the veil on ProChain Project Management, the project management approach that has been implemented in some of the best-known companies in the world. Through clear, concise descriptions of needed tools and measurements along with real-world examples, you'll see how your company can dramatically improve the management of projects and resources. You'll discover how you can elevate reliability, speed, and productivity in order to keep the money for the bottom line. You'll learn about critical chain project scheduling, change management, and the other tools and processes needed to drive excellence.